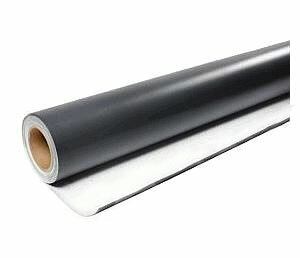 PRODUCT: TPO ROOFING MEMBRANE, 60 MIL, REINFORCED, 10' WIDE x 100 FOOT ROLL. PRICE/ROLL. WeatherBond TPO is .060” thick white, reinforced single ply roofing membrane. TPO single ply roofing is designed for all types of commercial and residential single-ply roof construction and re-roofing applications. TPO membrane is suitable for both mechanical and fully-adhered roofing systems. Dekfast #M7685, 3 inch Round Insulation Board Attachment Plate, Galvalume Coated Steel. 1000/Box. Price/Box. 40 MM WIDE x 2 MM SLOT, ANGLED HOT-AIR WELDING NOZZLE, STAINLESS STEEL (type 107.132). FITS ALL POPULAR HOT-AIR ROOFING WELDERS. PRICE/EACH. BAK Roofing / Plastic Membrane Welding Tools Products Online Catalog Link. Universal Bonding Adhesive 8800 by Lucas. Low VOC Water based contact adhesive for securing EPDM, TPO, PVC and other single-ply membranes to wood, metal, concrete and most roofing substrates. 1-Gallon Pail. Price/Pail. Universal Bonding Adhesive 8800 by Lucas. Low VOC Water based contact adhesive for securing EPDM, TPO, PVC and other single-ply membranes to wood, metal, concrete and all types of roofing insulation. 5-Gallon Bucket. Price/Bucket. Dekfast # 298312 2 inch Diameter Barbed Stress Plate, 20-gauge, Galvalume Coated 20 Gauge Steel. For membrane attachment. 1000/Box. Price/Box. Heavy-duty White EPDM Protection Pads with Ultra Non-Slip Surface. 30 x 30 x 0.2 inch. Molded White EPDM with Instant-Attach Peel/Stick Butyl Adhesive. Made in USA. Price/Each. SAMPLE OF 60 MIL TPO ROOFING MEMBRANE, about a 3 x 6 inch piece. (Specify Color before adding to cart. Select USPS First Class Mail for lowest rate). LIMIT 3 SAMPLES.